PARIS — The French Winter Olympics team will not travel to the 2018 Games in Pyeongchang, South Korea if its security cannot be guaranteed, France's sports minister said Thursday — the first major doubts by a participating nation over the growing North Korean tensions. 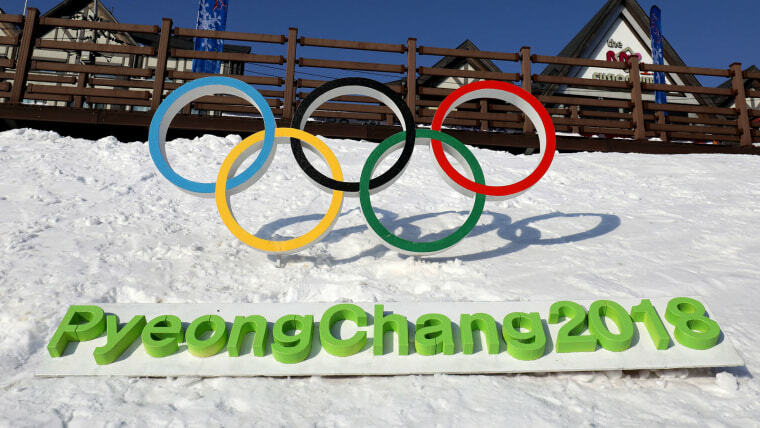 The games organizing body said it is closely monitoring the geopolitical situation with the South Korean government, adding that safety is the top priority. Tensions have escalated since North Korea conducted its sixth and largest nuclear test on Sept. 3, prompting global condemnation. North Korea's leader Kim Jong Un said Friday the North will consider the "highest level of hard-line countermeasure in history" against the United States in response to U.S. President Donald Trump's threat to destroy it. France's Sports Minister, Laura Flessel, told RTL radio that if the crisis deepened and "our security cannot be assured, the French Olympics team will stay at home." But she added: "We're not there yet." Participants in the Games, the first Winter Olympics hosted by an Asian nation outside Japan, have not previously raised safety concerns publicly. The Feb. 9-25 games are being held just 50 miles from the demilitarized zone between North and South Korea, the world's most heavily-armed border. The two countries remain technically at war after their 1950-53 conflict ended with a truce and not a peace treaty. "Safety and security is one of the most important aspects of Games preparations," Sung Baik-you, a spokesman for the organizing committee, said Friday in a statement to Reuters. South Korea's President Moon Jae-in said the country is pushing to ensure security at the event. In a meeting with International Olympic Committee (IOC) President Thomas Bach Wednesday, Moon said South Korea is well aware of the concerns. The United States Olympic Committee (USOC) said it was working with all the relevant authorities to ensure its athletes would be safe. "Each host city presents a unique challenge from a security perspective, and, as is always the case, we are working with the organizers, the U.S. State Department and the relevant law enforcement agencies to ensure that our athletes, and our entire delegation, are safe," USOC spokesman Patrick Sandusky said. The Chinese Olympic Committee said it had no immediate comment. The Canadian Olympic Committee (COC), which has representatives in South Korea, said the safety of its team was always its main priority. "The safety of our entire Canadian Olympic Team is always our main priority, no matter where the Games are held," the COC said in a statement emailed to Reuters. The chief of the International Ski Federation, Gian-Franco Kasper, dismissed any fears among athletes, saying the Pyeongchang Olympics would be the "safest in the world." He conceded, however, that ticket sales among overseas visitors could be affected. The IOC has said it is not contemplating any 'Plan B' for the Games. Bach, the IOC President, said last week that considering any scenario other than holding the Olympics in South Korea could hamper diplomatic efforts.